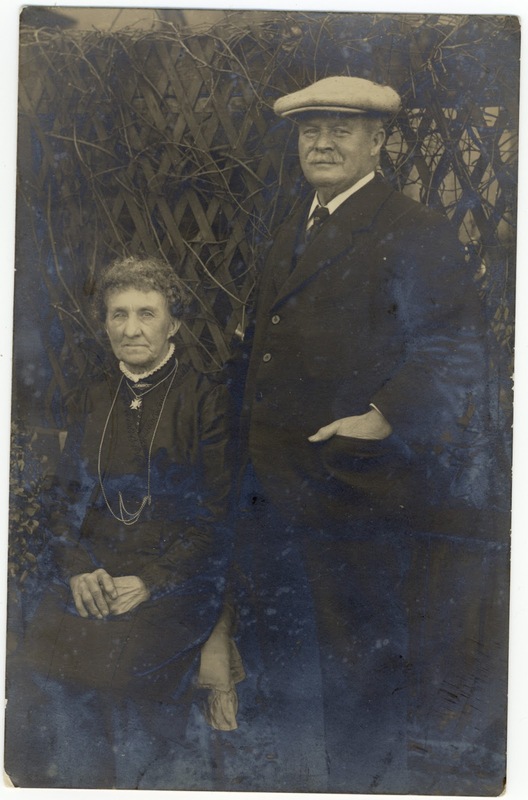 In 1907 Misia’s marriage to Alfred Edwards was in tatters. 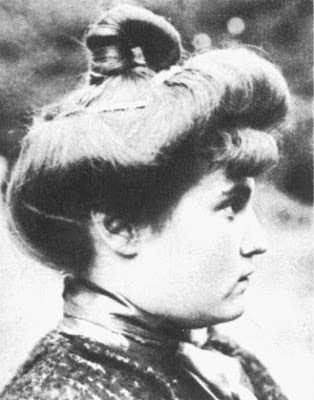 Misia was extremely jealous of her husband's mistress Genevieve Lantelme, and said in her memoirs "I had contrived to get a photograph of Lantelme; it adorned my dressing-table, and I made desperate efforts to look like her, dress my hair in the same way, wear the same clothes." 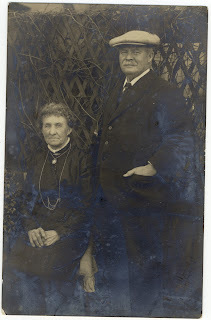 Genevieve Lantelme and Edwards married but in 1911 Lantelme drowned after falling off Edwards’ yactht. Around 1909 Misia began an affair with the lusty Spanish Painter José Maria Sert; she married him in 1920. Sert’s murals achieved international recognition. 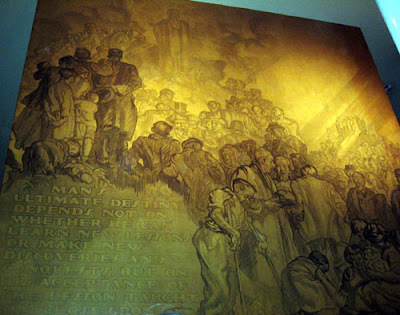 His work adorns the assembly hall of the League of Nations, the Waldorf-Astoria in New York and his mural at the Rockefeller Center replaced the one painted by Diego Rivera which was dismantled after Rockefeller objected to its subject matter. Sert had been working at the Ballets Russes painting sets and creating the dancer's costumes. He was a colourful, fiery man with enough money to keep Misia in the style to which she had been accustomed. They decorated their apartment on the Rue de Rivoli in an unorthodox but staggeringly grand way. Massive pieces of rock crystal were placed in front of the fire to refract light. Tables were made of tortoiseshell or the semi-precious malachite. 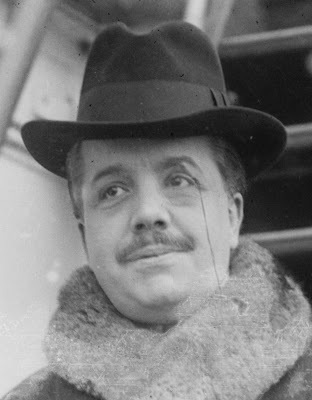 In the meantime thanks to Serge Diaghilev and his Ballets Russes, Misia’s drawing-room on the Rue de Rivoli became home away from home for the Russians. She opened her door to him while he broadened her horizons. When Igor Stravinsky first played the score of Le Sacre du Printemps to Diaghilev, the event inevitably took place in Misia’s apartment. Misia loved José Sert, saying she was the only man who truly “satisfied” her. But Misia had a way of attracting younger, prettier women into her circle who threatened to steal her man. This time Roussy Mdivani was the thief. Roussy managed to crawl into the Sert’s bedroom the last time José made love to Misia. Misia didn't hold a grudge, "The poor girl was not responsible for the feeling she had for you." she wrote Sert. "I found it very natural that she should adore you." Misia was weirdly fond and protective of Roussy Mdivani, inviting her everywhere and tending to her health. All three were taking drugs; Sert had always used cocaine, Misia was finding release in morphine, Roussy was willing to try anything. The triangle lasted for as long as Misia’s pride allowed. They divorced in 1927. In Misia’s circle between the wars, fashion steadily got the edge on art. 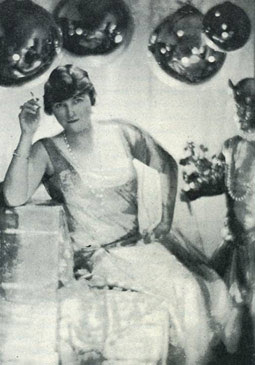 In 1916 Misia met Coco Chanel who was to become her closest female friend. Apparently Misia, although morphine-addicted, created bonsai-like table-top trees out of rock-crystal and semi-precious stones. It’s uncertain if she made the trees herself but she certainly designed them. She designed dresses for a New York City fashion house around the same time. 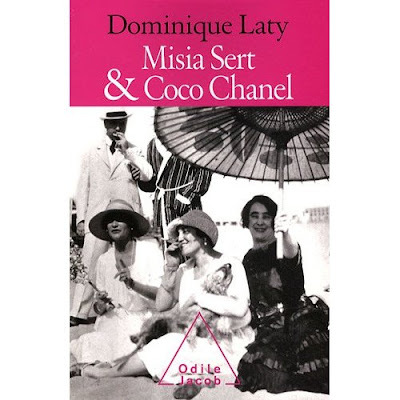 When Sert finally cut ties with Misia, she consoled herself with the company of Coco Chanel, who was to now assume the dominant role in Misia’s life. Jean Cocteau dramatized their friendship in Les Monstres Sacrés but apparently he really never understood their relationship. 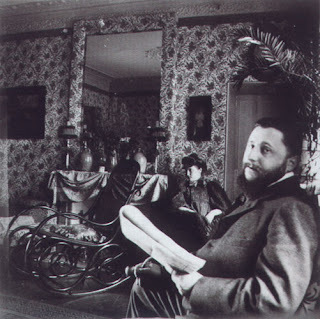 After Roussy’s early death, José Sert moved back in with Misia. During World War II Misia did her best to save artist Max Jacob’s life, She tried to pull every string to save him from the Nazis. At her post-war soirées she invited collaborators and résistants on different days, but if they happened to bump into each other by chance she left them to sort it out. Her close friend Coco was arrested for a short time, suspected of being a Nazi collaborator. Misia lived until 1950. She survives only in the works of others. I had never heard of Misia until G-Pup bought me the book Misia, The Life of Misia Sert, by Arthur Gold and Robert Fizdale, second hand. It turns out that Misia is one of the most inspirational muses and patrons of the Parisian avant-garde. Artists, musicians, writers and dancers at the turn of the (last) century were beguiled by her. 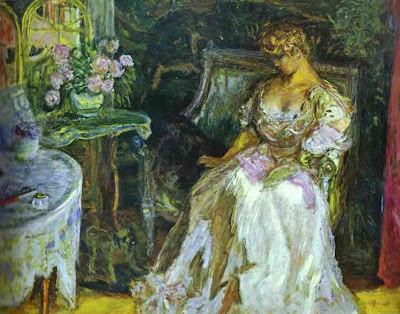 A beauty in her time, Misia was painted by Toulouse-Lautrec, by Bonnard and Vuillard, and according to her memoirs, 7 or 8 times by Renoir. She’s another in my series of red-headed muses and this gingersnap of a woman seemed to have her finger in all pies. Misia Godebska, was born in 1872 in Russia. Her mother died in childbirth. Her father, the sculptor Cyprien Godebska, was engaged in the reconstruction of the Tsar’s palace. Remarried, he sent her off to live with family. She had a few idyllic years living with her grandmother in Belgium where she was found be a gifted pianist, only to be reunited with her distant father and step-mother in Paris. There Misia grew up in amongst the upper crust of French society, but she was shunted off to a succession of boarding schools and family members. She married early, at the age of 16, to Thadée Natanson, a Polish ex-pat politician and journalist. 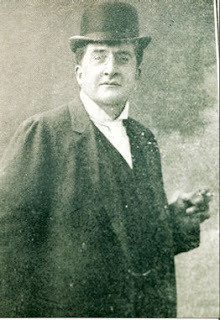 Later he became the editor of the Paris arts magazine la Revue Blanche, focusing on the circle of the Paris avant-garde. 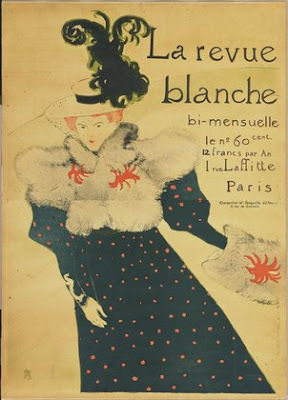 La Revue Blanche was published from 1891 to 1902. One had to know Misia before being published in the magazine and in turn, Misia only wanted to know those who were gifted. She knew almost everyone who mattered in Paris’s artistic circles. Her taste was original and discerning. Probably a true bohemian, she was unwilling to desert her money and her class. 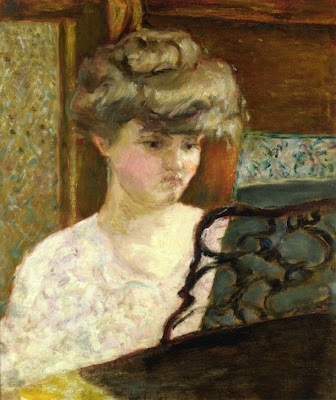 The painters (Vuillard, Bonnard, Lautrec and Renoir) painted her and the composers debuted their masterpieces at her piano. Ravel and Debussy were frequent guests. Vuillard adored her. 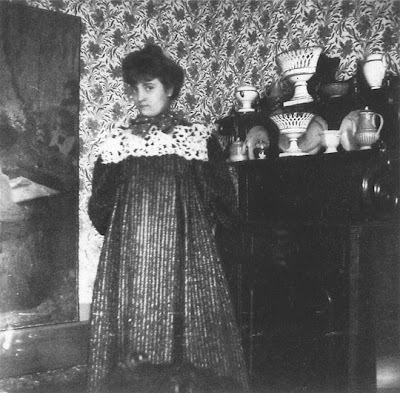 Stéphane Mallarmé wrote poetry for her. Although I don’t find her particularly striking, the painters thought her looks miraculous, with a legendary pair of legs and a dreamy bosom. Colette revolved around this group too, sporting a waistline almost as small as Misia’s. 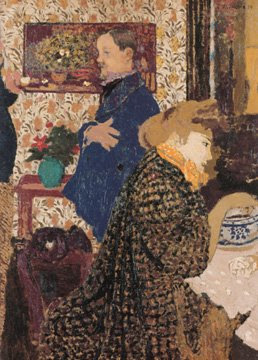 At a party of 300, thrown by Misia’s brother-in-law to celebrate the completion of nine large panels painted by Vuillard, Toulouse-Lautrec was the barman. Misia ate up her husband Thadée’s money; as a patron she required plenty of material items. With the help of Thadée and his money she was able to entertain at their homes in the country as well. At one of these country parties, Misia caught the eye of the vulgar newspaper baron Alfred Edwards, editor of Le Matin. 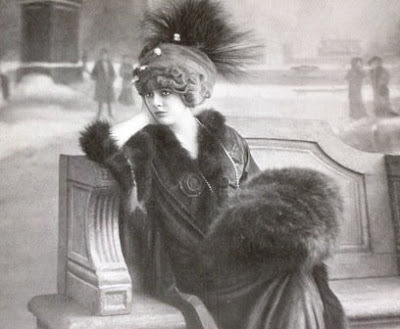 In 1900 Misia was a voluptous 28 years old. The Paris Exposition was on. Misia was about to lose her good friend Toulouse-Lautrec. Her husband, Thadée Natanson, began taking more of an interest in politics. He found le Revue Blanche boring and entered into new and not-so-lucrative ventures. And the newspaper magnate Alfred Edwards fanatically pursued Misia like Pépé le Pew pursued the little black and white cat. Misia was offended and a little afraid of the extremely boorish, powerful Edwards. Misia’s husband found her attitude childish and urged her to use her charm to secure financial backing from him. His plan backfired. Alfred Edwards did in fact help ease Thadée Natanson's financial woes, but Edwards was so obsessed with Misia that having her as a mistress was not enough. He wanted her as his wife. The fact that he already had a wife didn’t seem to matter. Once again Thadée had bungled his affairs. He resigned himself to the situation between Edwards and his wife and cabled Misia to “arrange everything.” Misia now saw Thadée as a tarnished knight - Edwards as the dragon. Perhaps by marrying the dragon she would no longer need protection. Misia began to feel “the agitation which strongly resembles love”. 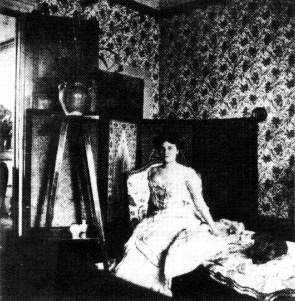 She began living with Alfred Edwards in 1903 and married him a few years later. Misia acquired new friends in the Parisian musical and artistic circles. She was a confidante of Pablo Picasso and Jean Cocteau and an early and devoted patron of Sergei Diaghilev's Ballets Russes. She was an inspiration to Proust and Apollinaire. Maurice Ravel dedicated "Le Cygne" to her. When Ravel failed for the third time to win the Prix de Rome, Misia used her new husband’s clout to make the director of the Conservatoire resign. 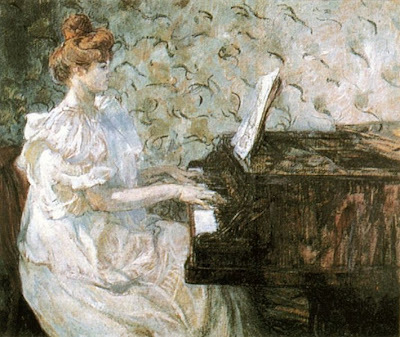 Gabriel Fauré, Misia’s childhood piano teacher took over the postion. Misia played the piano for Caruso while he sang Neapolitan songs, and told him to pipe down when she’s had enough. Many of her friends from the old days stayed close and at least one grew even closer. Renoir didn’t pick sides. He was a deeply moral man and approved of Misia’s gift for bringing life alive. 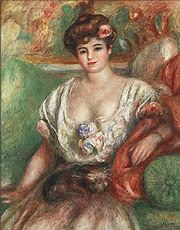 Renoir longed to paint Misia’s famous breasts naked, but she would never bare them, probably because Edwards was lurking jealously despite the fact that Renoir was badly crippled with arthritis. Misia once rewarded Renoir for a portrait by giving him a blank cheque. He filled it out with the going rate. 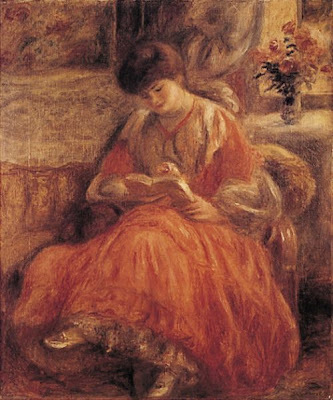 Apparently Renoir wrote love letters to her, but on the advice of her literary agent, deeming them as “too silly”, Misia destroyed them before her death. Misia lost Edwards to the gorgeous actress Genevieve Lantelme. As the break-up took a long time Misia was able to continue enjoying a large income. In the early stages of the breakup she headed for the coast to get away from it all. Marcel Proust was on hand to observe that Misia had ended up sharing a stretch of beach with her husband and his new mistress and her ex-husband Thadée. In 1821, when Charles Dickens was a nine-year old boy, he and his ne’er-do-well father took a walk along some of Kent’s country roads. On Gravesend Road they passed a house called Gad’s Hill Place, north and west of Rochester. Young Charles was very impressed with the house. The Dickens family was plagued with financial problems – his father was in and out of the workhouse – but Dickens Sr. recognized his son’s interest and told Charles that if he “were to be very persevering and were work very hard” he might some day live there. And live there he did. 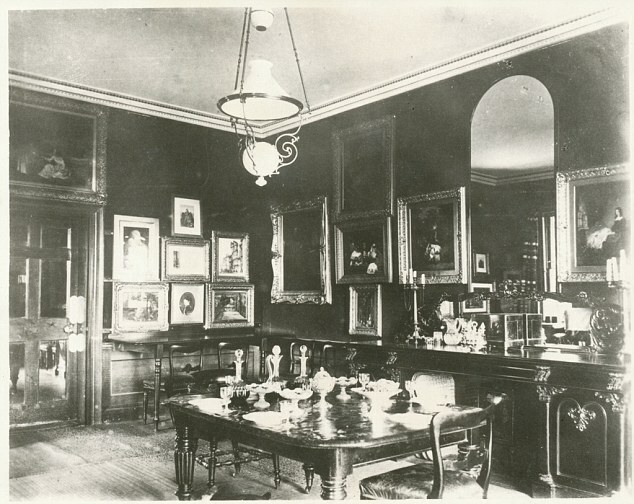 After the financial success of The Pickwick Papers, Oliver Twist and a Christmas Carol, Charles Dickens was able to buy Gad’s Hill Place in 1856 for about £1,800. Understandably Dickens was quite the local celebrity. 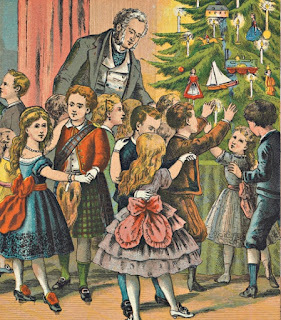 He would host summer parties, cricket games and always had big Christmas parties including a children’s tea. Well, my grandmother’s grandmother happened to be a child during that time. Harriet was born in 1853 in Gillingham, one the Medway towns located about 5 or 6 miles from where Dickens would make his home. When she was a little girl she was one of the lucky local children invited to Dickens’ house for Christmas tea. 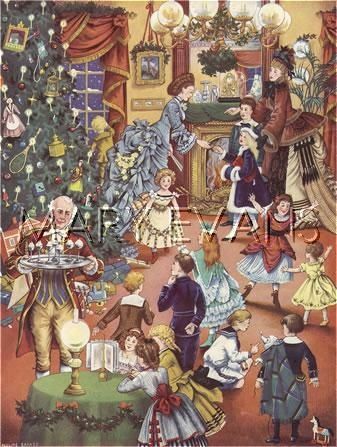 Perhaps instead the timid children would wait, measuring out the minutes with the ticking of the mantle clock, while horses stamped and whinnied in the forecourt as a damp English winter penetrated Dicken’s old brick home. But I like to think not. His was no Bleak House. 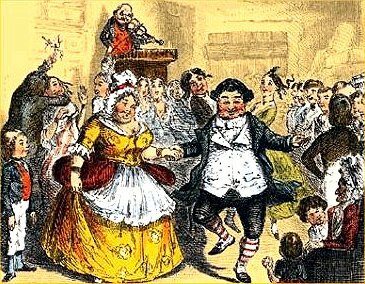 Dickens continued to celebrate the season with exuberance until the end of his days. 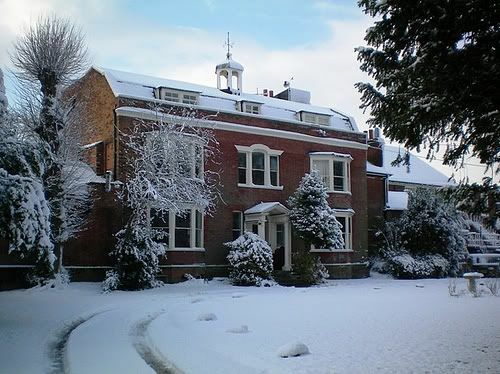 Dickens kept Christmas well until his death at Gad’s Hill Place in 1870. From Bonjour Paris - The Day I Ate Nothing But Sweets!